Purpose: Use this document as a reference for creating job codes in ctcLink. Job Codes are created in the Set Up HCM module, which requires a specific security role assigned by the college Security Administrator. The Set ID defaults accordingly, change if needed. Enter the desired Job Code (maximum of 6 characters; alpha and/or numeric). The Effective Date will default today's date; change if needed. The Status will default to Active; change if needed. In the Job Title field, enter the title of the Job (30 characters max). 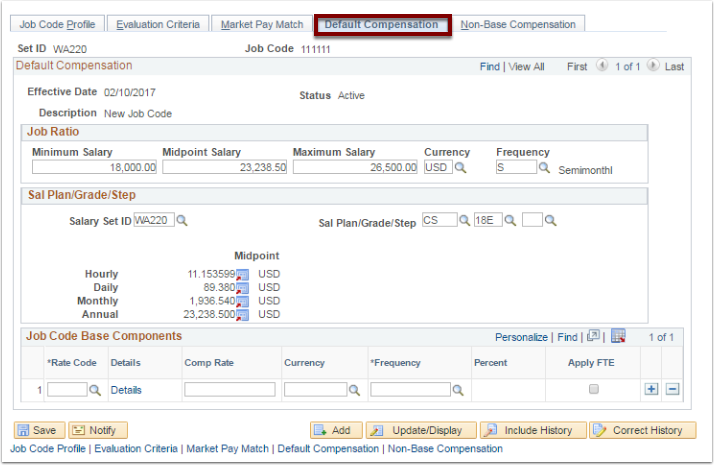 In the Short Title field, enter an abbreviated version of the Job Title (10 characters max). A description of the job could be stored in the Job Description text box (this can be entered manually or via copy & paste). 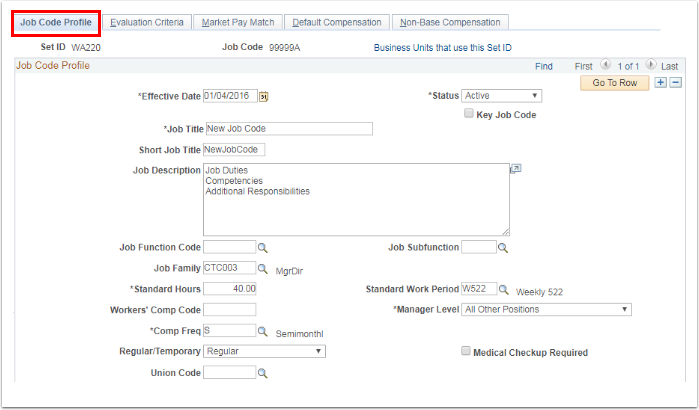 The Job Code Function and Job Subfunction fields can be left blank as neither are currently being used. 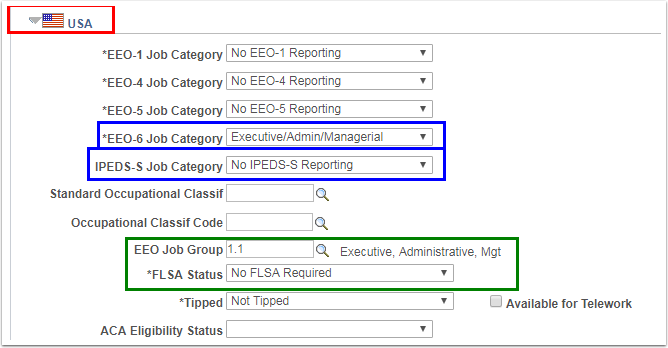 Select a Job Family from the lookup options. The Standard Hours will default to 40 hrs; changed if needed. The Standard Work Period will default to Weekly (W); change if needed. The Workers' Comp Code field is currently not being used. The Manager Level menu will default to All Other Positions; select another level option if needed. The Comp Freq field will default to the Semimonthly(S) frequency; select another frequency option if needed. Select Regular or Temporary in the Regular/Temporary field. 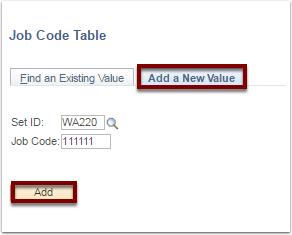 Select a Union Code from the lookup, if applicable. A query has been created, QHC_HR_JOB_JCODE_GRP, in which you can track employees by Job Category and Job Group. REMINDER: The Evaluation Criteria, Market Pay Match, and Non-Base Compensation tabs do not require any entry at this time. Congratulations you have successfully created a new job code!!!!! !